There are currently 77,951 users on this website. It looks to be gold or bronze and the contrition isn't to bad. Does anyone have any information on this coin? It's always helpful if you can post some pictures, so the experts here can see exactly what it is that you have. I don't know what type of coin you mean - please could you post decent photos of both sides of the item, and advise us of the diameter and weight? This will help us to identify what you have. Thanks! Most likely a coin weight, not a coin. Before the United States came to be it was just another in a very long list of British territories. So the Shilling, not to mention the more preferred Spanish Real, were the acceptable means of payment. However, both were silver-not bronze as you describe. Below is an example until you post one for reference. Hope this helps compared with your own. If I had to guess, and it is a pure guess based on the lack of picture, what you have is a "coin weight". These were made to be used with coin scales, or coin balances. The weight corresponds to a gold coin, British or foreign, which had an exchange value of 36 shillings at the time the weight was made. 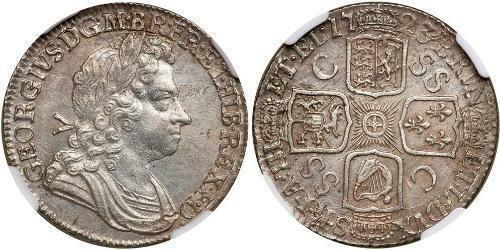 You can see some examples of coin weights from the 1700s on this UKDFD page. A "double Joe" was 3/12/- in LSD (written as Three Pound Twelve on the weights) = 8 Escudos or 12,800 Brazilian reis. I agree with DBM and Sap.